No, she probably won’t be played by Melissa Benoist, sadly. She may have waited until a little longer than her male (or Themiscyran) counterparts to make an arrival, but it’s official: Supergirl is joining the DCEU, with a feature film based around the Kryptonian badass. Deadline reports screenwriter Oren Uziel (The Cloverfield Paradox and Shimmer Lake, to name a few things he’s penned, so not the greatest of resumes) is already at work on a script, though no director has been brought on board as of yet. This is one of the first new moves to be made since DC’s cinematic brain trust was effectively dismantled in the wake of Justice League’s underwhelming performance at the box office, aside from the prior announcement of that weird-sounding Joaquin Phoenix Joker movie. That still leaves the upcoming Aquaman and Shazam, as well as the in-development Birds Of Prey film and The Flash, which starts shooting in March. Oh, and let’s not forget whatever the hell is happening with Matt Reeves’ Batman movie. 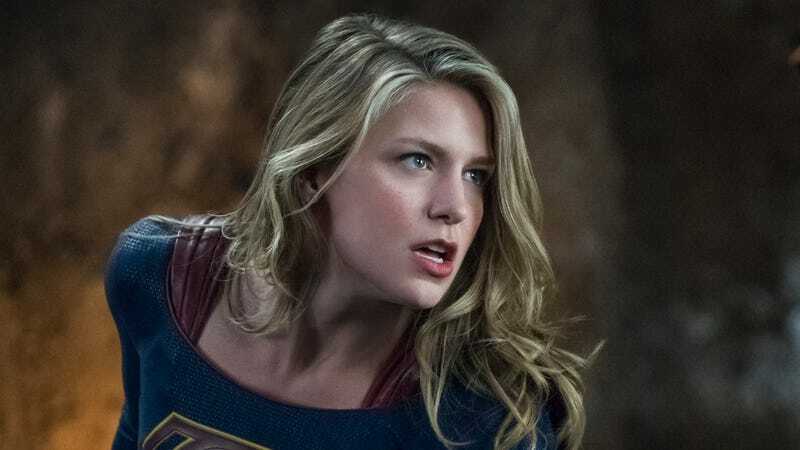 While casting is clearly not happening yet, there’s presumably a short list of actors the studio would love to take the role—and unfortunately, if Ezra Miller is any indication, there’s basically no way Melissa Benoist gets the gig. But let’s go ahead and start baselessly speculating on who gets the part. Sophie Turner? Jessica Williams? Miley Cyrus? Or perhaps we’re just going to get another guy named Chris in the part.